Okay, okay I heard you. Even though the 20 me time activities are easy and even though I told you exactly how to squeeze them in… you still have a reason that you simply cannot find time to do something for you. I get it, I do. It’s hard for you to find the time, even though you think it’s important. It just isn’t easy to actually make it happen. 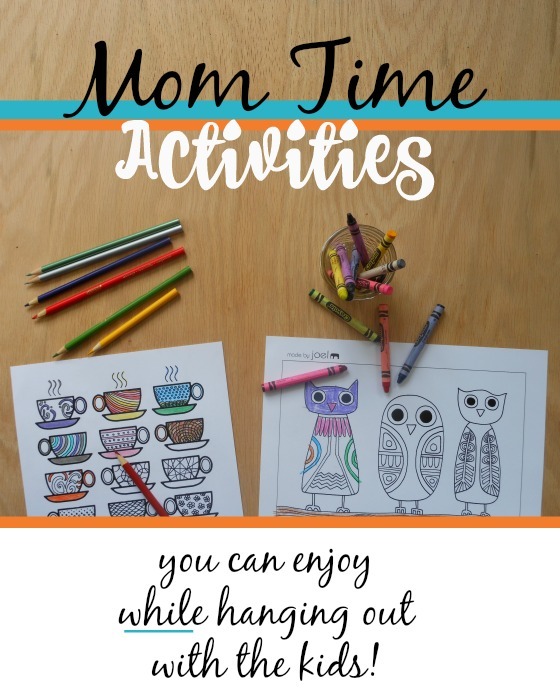 The coffee mug coloring sheet is from Moms and Crafters and the owl coloring sheet is Made by Joel. It’s time you claimed a little space just for you. Right in the middle of everything. This post contains affiliate links. Thanks for supporting A Mom with a Lesson Plan. Coloring. Grab some fancy colored pencils and grown-up coloring sheets (check out these beautiful animal designs ). Drawing. Learn how to draw right along with your kids by watching Art for Kids Hub videos. Rob is a fantastic teacher and works with his kids. It’s the perfect way to learn a skill together. Dance. Just turn on the music and dance. The kids might join in… they might not. I bet you’ll have a blast either way. Free Build with LEGO. This one would not be my first choice, but there have been days when I catch hubby still working on a creation long after the kids have moved on. Create something beautiful. Do an art project with the kids that takes a little extra love from you. These sun catchers from Hands On As We Grow are so pretty and so fun to make. Learn some new hairstyles for your kids. Have fun learning and practicing some new hairstyles… only if the kids are excited about it too, of course. Read. Pick a book to read aloud to the kids that you enjoy as well. What Do We Do All Day is my go to for book lists. Her descriptions make it easy to pick a book that will entertain everyone. Walk. Put the kids in a stroller or find a park that has a play space near a walking space. Paint. Check out a book about painting from the library and get yourself a acrylic paints . Then settle in right next to your little ones when they paint. What would you add to the list? Do you have a favorite activity that fills you up and can be done with the kids? Join the Confident Parenting Facebook Group to find the support of an entire community. 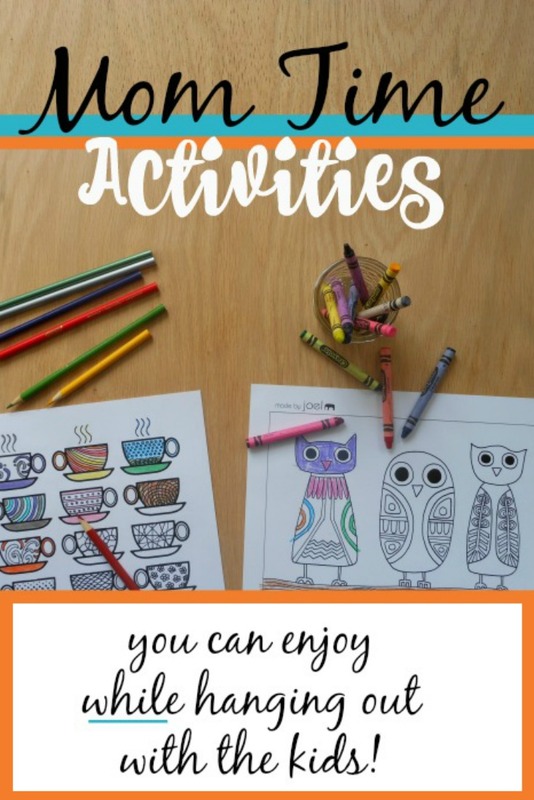 I’m so glad you enjoyed my coffee cup coloring sheets!Some great ideas here. 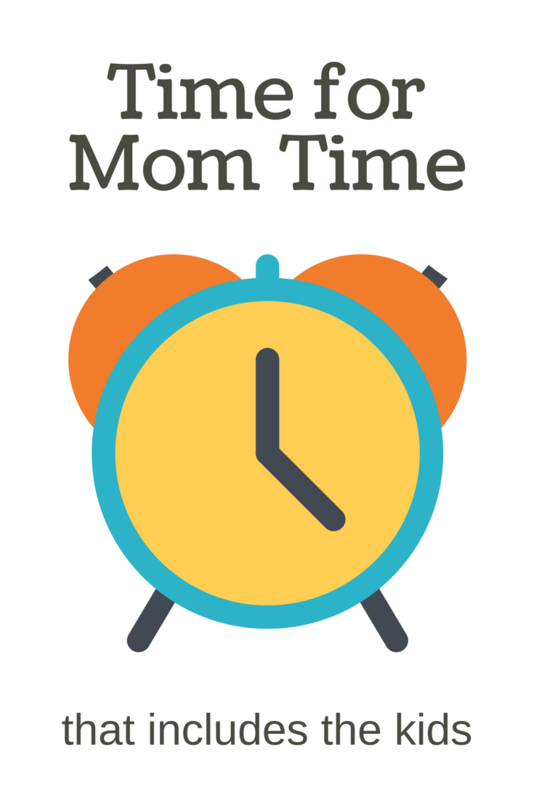 I am a huge believer in the importance of moms taking time for themselves. I think we need reminders like this that it doesn’t need to contradict our parenting, and it can even enhance it! You pretty much nailed all my favorite things to do with my kids! Great list.